This year, the WITTMANN Group is again taking the opportunity to present its most recent product developments in a great variety of different areas at the Fakuma in Friedrichshafen. The company will showcase its latest innovations in automation and peripherals from 16 to 20 October at its booth No. 1204 in hall B1. At its show booth, the WITTMANN Group presents the latest models of the PRIMUS robot series: PRIMUS 10 and PRIMUS 26. PRIMUS 10 extends the PRIMUS series once more with a smaller model: The robot is specially designed for removing sprues and comes with sprue pincers as standard. The compact dimensions of the PRIMUS 10 with a horizontal axis length of 1,000 to 1,500 mm equip it for operation inside the safety enclosure of an injection molding machine. This reduces the costs incurred for the safety enclosure – and also ensures CE-compliant operation. If there is a change in production needs, the robot can integrate a vacuum circuit in order to carry out parts removal as well as sprue picking. The design of the pro series robots, presented for the first time at the K 2013, provides the backbone for the new WX robots. 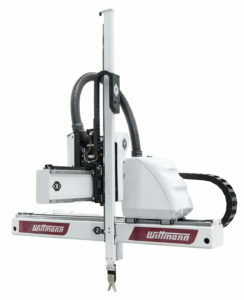 This new series also stands out by consistent use of lightweight technology for the axes – combined with the partitioned drive concept specially developed by WITTMANN for linear robots. This combination gives the models of the WX series maximum dynamism with minimal energy consumption. The simultaneously reduced lengths of power supply and connection cables subjected to movements also increases the appliances’ service life. Moreover – as was already the case with the predecessor models – the WX robots are equipped with a special vacuum function, by which process cost savings can be achieved through intelligent air consumption control. A special valve prevents pressure loss inside the system, thus minimizing the activation period of the vacuum generator, which in turn reduces the air consumption. Simultaneously with the new WX robots, WITTMANN is launching a new rotational A-C servo axis specially laid out for applications with small residual mold openings. Compared to the already existing larger model with 30 kg load capacity, the new, Slim variant of the combination axis is about 25% shorter, and its width has been narrowed by approx. 20%. GRAVIMAX blenders from WITTMANN have been continuously improved over the years and now come with numerous functions to ensure easy operation and consistently high parts quality. 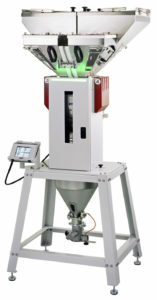 GRAVIMAX blenders are available for a wide range of throughput rates and come with touch screen control terminals. All parameters can be set and retrieved via the display. The luminous ambiLED signal mounted on the front of the GRAVIMAX visualizes the appliance’s current status. The control system allows the operator to save the formulations of compounds together with the appropriate blending processes. These formulations can be passed on to other appliances either by USB stick or by special GraviLog software. 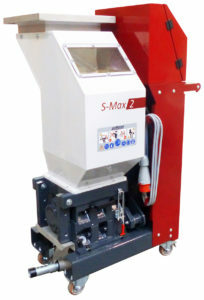 Moreover, a GRAVIMAX operating in the SmartRegrind mode will automatically adjust the formulation – depending on the available quantity of granulate to be blended. Most processors need a constant quantity of dust-free and high-quality regrind at a constant size. This is the main priority. But there are of course some more important issues: dust sealing, modular design, easy and safe cleaning, efficient and effective power drive design, low noise and compact footprint. Operational safety is also very important. 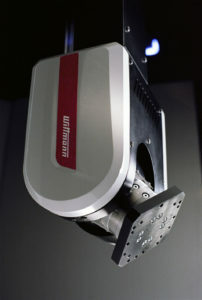 WITTMANN has therefore developed several industry “firsts” to meet these criteria; WITTMANN granulators produce less noise, save more energy, have a more compact footprint, need less maintenance, are equipped with hardened cutting tools, provide for easy cleaning and maintenance, and also have excellent safety features.